My kids love homemade pancakes. 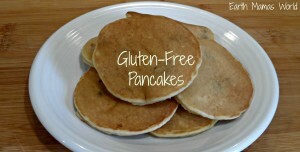 My fluffy whole wheat pancakes were a very common breakfast item until I realized that Audrey needed to eat gluten-free. Making gluten-free pancakes for my family was very much trial and error. There were many more batches that they wouldn’t even touch than there were ones that they would tolerate. I was unsure that I would ever be able to make gluten-free pancakes that would please all three kids. After several weeks, maybe even months, I created our new staple pancake recipe. After trying MANY gluten-free pancake recipes I took what I loved from them and ditched what I didn’t and ended up with an awesome gluten-free pancake recipe. I also discovered a little trick that I use when making gluten-free pancakes and waffles that helps them turn out light, fluffy, and delicious! 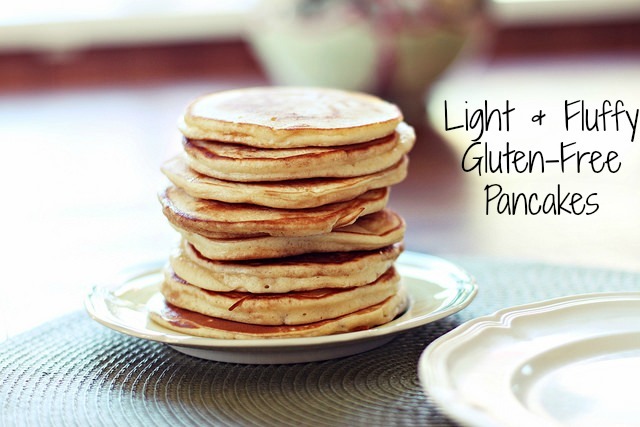 I am not sure exactly where I read about this trick but I am happy I did because it helps to create fluffy light gluten-free pancakes. This trick is easy, it’s the blender! Preheat your griddle or skillet to medium then go get your blender ready. Place all of your liquid ingredients in first: eggs, melted coconut oil (or butter), almond milk, honey, and vanilla extract. Next place your dry ingredients into blender: Almond Flour , baking soda, and sea salt, Place the lid on the blender and blend on medium to high for at least one minute. Grease your skillet with butter or coconut oil then ladle small-sized pancakes on the skillet. Wait a few minutes until the edges begin to dry then flip over. Both sides should be golden brown. 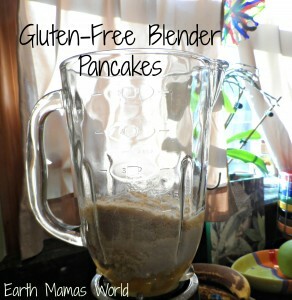 This is a fast and easy way to make delicious fluffy gluten-free pancakes. Place all of the liquid ingredients into your blender then follow with the dry ingredients on top. Cover and blend for at least 1 full minute. Grease griddle or skillet with butter or coconut oil. Ladle a spoonful of batter onto the griddle to form small pancakes, it is easier to make them smaller than large. Cook for a few minutes then turn and cook on the other side. I also make my gluten-free waffles in the blender and am anxious to make my muffins this way as well. Do you use your blender to make your batters? If so, care to share the recipe in the comments? You can see more of my real food recipes here. Cinnamon, clove, and pumpkin puree. Super yummy way to change it up. I have eaten these and they are delicious!! Aww, thanks mama. The kids want breakfast for dinner tonight so it looks like I will be making these! I’ve been making pancakes using chia seeds instead of eggs for years. I swear that makes them fluffier! I have used chia as an egg replacement before, I will have to try it when making pancakes. Thanks! What would another flour be instead of Almond flour? 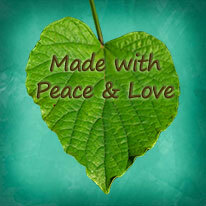 Have food allergies which include gluten and almonds.